New board members will probably have their own expectations of what role they can play in the organisation. The board should, at the start, find out what new board members would like to contribute to or learn from the organisation. This would avoid a situation where board members feel that their leadership experience is not valued by the organisation. Also, the new board member should feel welcome and time should be created for the board members to ask questions. An overview of past and present activities of the NPO. Information on current funders and the funding position. Financial statements and operational policies. Overview of the organisation’s financial status. An overview of the legal status of your NPO i.e. legal entity and public offices where the NPO is registered, including tax exempt status. 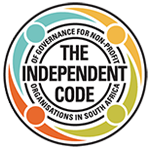 An overview of governance responsibilities of the board. A tour of governance responsibilities of the board. A tour of the workplace and other facilities of the NPO. Merely providing new board members with a load of documents does not amount to adequate orientation. The orientation process should involve a number of face-to-face engagements which should include introductions to board and staff members and field trips to present the activities of your NPO. Why and how the organisation came into existence. The time commitment expected from board members. How often meetings take place. Whether the board member will be required to participate in any sub-committees. Whether financial contributions are expected from board members. The role of board members in fundraising. The main successes of the organisation. The main challenges of the organisation. The key partnerships that the organisation has formed. Not all board members will be familiar with the broader non-profit environment. One of the key responsibilities of the board is to provide strategic direction to the organisation. In doing so, board members must have an understanding of the broader environment. This includes information on current trends affecting the non-profit sector. The Board Walk: Good Governance Guide No.1. Recruitment, Orientation and Involvement of Non-profit Board Members. (Page 22). This book can be purchased via our online store. Click here for a copy. How do you evaluate your board? NextHow do you keep donors loyal to your organisation?